Well hello to you my reader chums! I'm a massive fan of Europe; there's just something about each country 's charm that always leaves me wanting more. I've been to a fair few countries in Europe and visited an array of the typical tourist attractions there. And although certain attractions may not live up to their hype, there are many completely worth the visit, and that I would personally return to someday. Like all of my posts focused around Europe, Rome always has to get a mention. 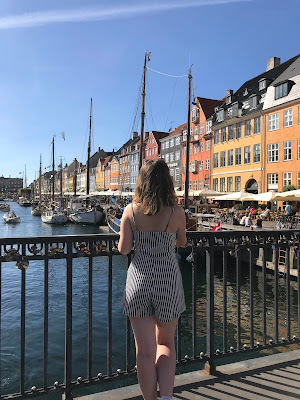 As my favourite city, there are plenty of spots every newbie must see and that includes its famous tourism attractions. The Colosseum is probably one of the top things on everyone's list for their trip to Rome - and I will forever recommend it. On both of my visits to Rome, I visited the Colosseum and loved it! My boyfriend always said how it was his highlight of the city! The Colosseum has a historical vibe about it like no other. As you walk around each floor, you can read and learn all about Rome's history. My favourite part however, is knowing how old and significant the building is - and that you're admiring it in modern day. It makes the overall experience super special. I'm a big fan of visiting churches and attending masses; there's just something therapeutic about the entire experience. 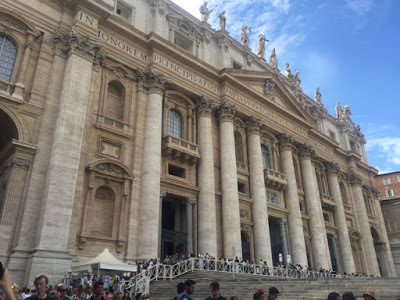 St Peter's Basilica has to be the favourite church I've ever visited. Firstly, the interior will take your breath away. It's huge, tall and has the most spectacular interior with murals and beautiful windows. It's one of those churches I wish I lived near so I can visit on a regular basis. I loved everything about Venice; the famous canals, rustic charm and beautiful landmarks. There are a few tourist attractions in Venice and one is St Marks Square and its Basilica. St Marks Square is like the luxury hub of Venice; it has a series of restaurants, bars and the beautiful Basilica. As the eateries can be pretty pricey, I'd recommend to anyone that wants the square experience to have a drink in the square at night when live music is playing. The Basilica is as stunning as the square itself and worth the queue. Its interior is glorious and like St Peters Basilica, will leave you in awe after your visit. 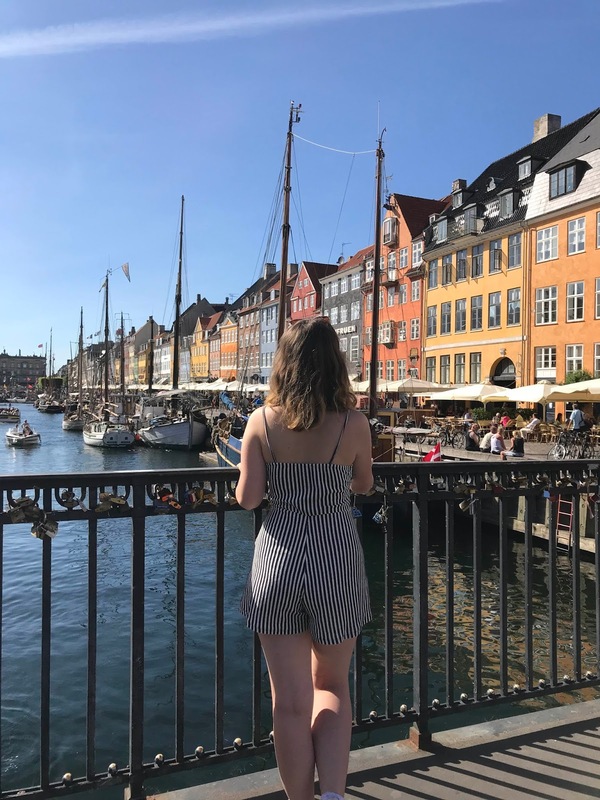 The iconic postcard view of Copenhagen is Nyhavn harbour, and although eating or drinking nearby can be overpriced, a stroll alongside the canal is a beautiful experience. The canal has coloured buildings at both sides with boats along the water. It's really a vision of beauty and can guarantee the perfect Instagram photo. Amsterdam; the renowned canal city has many various tourist attractions and is most famous for the Anne Frank museum. As a history nerd, I absolutely love learning new things about the past - and this museum was just that. It's no doubt, it's hard hitting and emotional experience reading about what went on during the war, but insightful in the same breath. Although some people have said it's not that great, I really enjoyed the experience and would recommend it. Every summer holiday needs a waterpark visit, and Siam Park in Tenerife happens to be one of the best I've visited in Europe. It claims to be Europe's most spectacular water attraction and I can see why. There's water slides for every range and thrill, set whether you prefer the calmer or scarier rides. And, the pool area is wonderful - it's huge, has enough sun beds for hundreds, and an epic wave machine. Malta is a dreamy summer destination, and I loved every minute of my trip there. Comino Island has to be one of my favourite spots I've visited. The word I'd describe it would be 'blue'. Literally you look around and the whole landscape is a blend of bright blue. The island is perfect for a day excursion, to soak up the sunshine and go for a swim in the clear blue ocean. As you've seen from my previous paragraphs, I love visiting churches and the one in Paris lived up to all expectations. It was beautiful, tall and calming. The area of Notre Dame especially is worth the stroll around. There are plenty of tucked away restaurants and pretty buildings, that you'd only read about in a novel of Paris. Whether you're a Disney fan or not, when in Paris a trip to Disney is a must-see. The magical land has some of the very best rides, favourite characters, a phenomenal parade and firework display. You can never go wrong with a day at Disney! Paris is famous for the Eiffel Tower and it's probably one of the most popular tourist attractions in Europe, and despite the popularity, it makes for a truly unique experience. Climbing up the Eiffel Tower or eating dinner there will offer some of the most fantastic views of the city you'll ever witness. Like the Notre Dame, Paris' Sacre Coeur is a beautiful church every visitor needs to see. Not only is the church an incredible experience, the area Montemarte where its located makes for a lovely explore. Montemarte has a lot of character with quaint shops and cafes alike, located up a very steep hill. It's probably one of the most worthwhile walks in Paris! 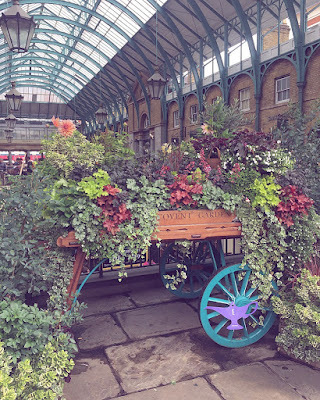 Covent Garden is my favourite area of London. It has that luxury appeal of designer shops, independent stores and rustic eateries - with a renowned market you'll love to visit. There's so much to do and even though it's popular with tourists and locals alike, if you're on a day trip to London, pop it on your list of things to do. The Queen's home and one of London's most remarkable buildings, Buckingham Palace is a must-see in London. Despite of its popular status, if you haven't seen it before, add it to your agenda. Get the candid snap by the gates and the picture of the Pall Mall as you visit. Belfast is famous for the Titanic and its museum highlights the history of the ship and its background. I was thoroughly impressed with the Titanic museum - it had many levels of different history surrounding the Titanic topic, and even shows parts of the ship's interior. There's plenty to see, learn and do - even a ride you can go on! Like churches, I'm a huge castle fan. I think its the history element of a castle and the fact of how old it is, really excites me. Castle de S. Jorge had all of that plus incredible views of Lisbon. From the top, you were able to see sea-scape and the city in all its glory. I hope you enjoyed this post. What are your favourite European tourist attractions? Great list :) I haven't been to all of them, but would agree with Covent Garden and Sacre Coeur! Will be checking the others out. Amazing list! 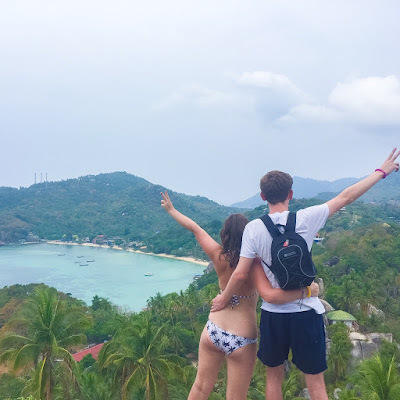 You travel so much, it's amazing!